The Providence Homes Team has just put the finishing touches on our newest Move-In Ready Home at Durbin Crossing South. The 3511sqft 4 bedroom 3.5 bath home at 112 Stirlingshire Court features a (25x13) first floor game room and (16x11) private family loft on a cul-de-sac lake front home site. Interior appointments include designer ceramic tile flooring in foyer, kitchen, café, family room and all bathrooms, a gourmet kitchen with granite countertops and island, GE Appliances and more. And as with all Providence Homes it will be 100% Energy Star Certified. 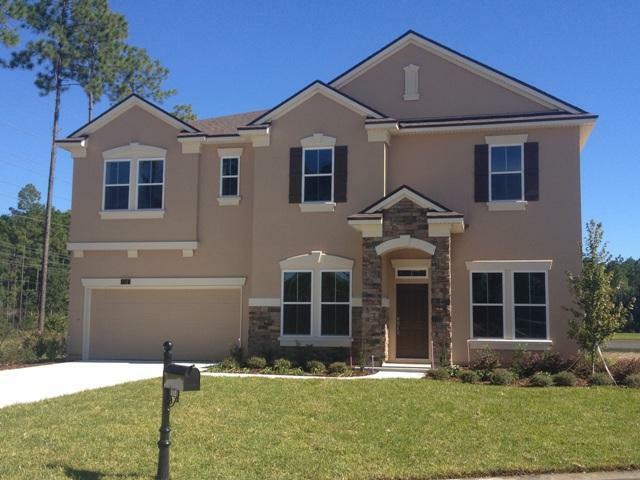 Durbin Crossing South is an extraordinary community in the very desirable St Johns County School District. The community encompasses over 2,000 acres unspoiled acres of thoughtfully planned neighborhoods, sidewalks, bikes lanes and a state of the art amenity center which includes super pool and slide, tennis courts, fitness center, clubhouse and more. Durbin Crossing South is conveniently located just minutes from I-95, making popular destinations such downtown Jacksonville, St Augustine and the beaches easily accessible. For additional information contact Tracy Stout or Pat Kilbane at 904-271-1223.